Captivating and distinctive, turquoise is very popular for its relative low cost and beautiful range of colors. While most people are familiar with the rich blues and greens of turquoise, they aren't really sure what to look for when buying jewelry that features this stone. Once you understand the difference between treated and untreated stones, as well as how they are graded, it's much easier to pick out a quality piece of jewelry. Turquoise is a water-based stone that forms in rocks that are rich in mineral content. The presence of certain minerals in larger quantities imparts a specific color to these stones. The following factors affect the value of turquoise and, ultimately, the cost of any piece of jewelry that includes this gem. While most turquoise is blue, colors can range from nearly white to some very vivid shades of yellow-green, depending on the location where the turquoise was formed. Some turquoise stones also show a fine web of thin lines of the original matrix within the stone. This type of turquoise is called "spider webbed." The minerals that may turn turquoise different colors can also change its hardness and quality. Therefore, some of the more collectible and expensive stones will be very pale blue or deep green, rather than the more common blue. 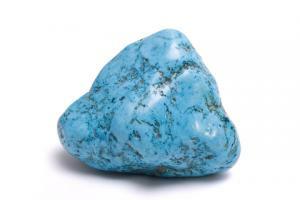 The grade of the turquoise you purchase indicates its quality. The highest quality stones usually come from specific locations, and they're generally given a grade of AA, AAA, or AAAA. Turquoise that rates AA or higher is usually more difficult to find. 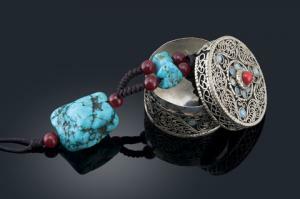 Standard jewelry-grade turquoise usually merits a grade of AA-, A, B or C. Anything with a lower grade must be treated before being used in jewelry, which generally lowers its price. Unless specified as natural, a lot of the turquoise available in jewelry stores has been treated in some way. Jewelers are actually obligated by law to disclose any and all treatments on the turquoise stones that they sell, so always be sure to ask if the stones in a piece that interests you have been treated. Stabilization - Thiw is the main form of treatment. The stone is treated with an epoxy resin or another substance in order to fill the pores so that the stone retains its color over time. Color Enhancement - Sometimes, stones are also treated with chemicals to enhance their colors. Treated turquoise is less expensive than the untreated variety, which can be very expensive depending on its grade. Turquoise is reasonably porous and soft when compared to a diamond or a sapphire. While a diamond is a 10 on the Mohs scale, the highest measurement given, turquoise typically ranges from a 2 to a 6. Stones with a score of 2 will be very soft and porous, and will likely need treatment. 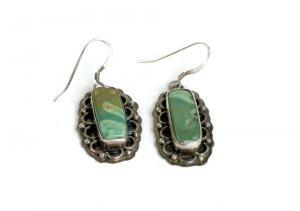 Turquoise with a score of 6 can be used in jewelry without requiring any treatment. Just like color, grade, and quality can vary tremendously from one piece of turquoise to the next, so can the price of individual stones. Depending upon the location a stone was mined from, its color and its hardness, pricing can range from a few dollars a carat up to approximately $80 a carat for the more collectible stones. You can buy turquoise jewelry from a number of jewelers online. Try these links for some good deals and offers. 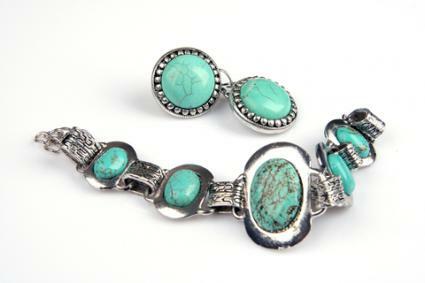 SkyStoneTrading.com specializes in natural, rare American turquoise jewelry in a range of different color stones. The site also has a turquoise museum and in-depth information on the turquoise mines the stones come from. SkyStone Trading offers a 10-day, no questions asked return policy. Bernardine.com offers a wide range of designer turquoise jewelry pieces with stones sourced in Arizona, New Mexico, Iran and Afghanistan. Most of the pieces are combined with other gemstones, such as opals and emeralds, and set in silver. This store has a 7-day return policy on all non custom orders. SilverTribe has several unique turquoise jewelry pieces in Native and Southwestern-inspired styles. This includes chunky necklaces, single-stone rings, and inlaid earrings. SilverTribe also offers a 15-day return policy. Turquoise Buffalo sells unique turquoise rings, bracelets, and necklaces included handmade Native jewelry. Their collection includes large stones, as well as some of varying colors and shades. This company's return policy varies by item, but they generally offer a 30-day return. Since turquoise is less durable than many other gemstones, your jewelry requires a little special care to protect and maintain its original beauty. Soft and porous by nature, always protect your turquoise from extreme heat and cold. Do not wear turquoise jewelry while doing any heavy work, or when there is an increased risk of knocking the stones against hard surfaces. Always clean your jewelry with warm water and a soft cloth. Do not use a commercial jewelry cleaner since the chemicals may damage a stone's surface. Store turquoise jewelry separately from other hard stones like diamonds, since rubbing against them may scratch the surface of the turquoise. Turquoise jewelry can be a unique and refreshing addition to any jewelry collection. Invest in some high-quality turquoise pieces, and they'll retain more value as the years go by.